Looking for the best tree removal company in Perth? Whether you’re carrying out renovations on your home, beautifying your backyard or need to remove a potentially dangerous tree, Williams Tree Pro is your number one choice when it comes to tree removal services in Perth. With years of experience in the industry and an unrivalled commitment to customer service, we know exactly what it takes to remove trees safely and efficiently. If a tree problem can't be resolved through tree pruning, tree removal is the answer. When you need extra space, or if a tree is causing structural damage, it's time to contact Perth's trusted tree removal experts. For a free quote, give us a call now on 0416 356 359 or read on to learn more about our leading tree removal services in Perth. It goes without saying that your garden plays a key role in both the look and feel of your home. With this in mind, it’s essential that you always enlist the services of a tree removal company you can trust. That’s where we come in. As one of the most recognisable names in the Perth tree removal industry, you can rest assured that we have the experience and specialist expertise needed to carry out your project to the highest standards possible. Over the years, we’ve worked with countless homeowners and commercial developers to remove unwanted trees and help them fulfil their wider landscaping visions. Using state of the art equipment, our team of fully trained tree removal team will work their magic to remove trees of any size from your property. When Do You Need a Professional Tree Removal Company? 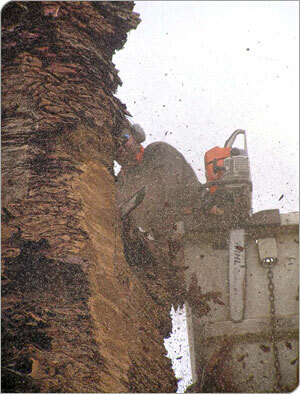 There are many scenarios where you might require tree removal services in Perth. Safety is one of the most common concerns. Over the years, most trees start to lose their structural integrity, which increases the risk of branches snapping and falling off, and may pose a serious hazard to people and property. Trees may also sustain damage due to storms, disease or termites. Regardless of the cause, it’s important to have damaged trees professionally removed before they become a problem. You may also need a tree removed even if it doesn’t pose a danger. For example, if a tree is obstructing new construction or preventing light from entering your home or garden, you may wish to have it removed. What Types of Trees Can We Remove? No two trees are the same, but you’ll be pleased to learn that the team at Williams Tree Pro can remove all types of trees. No matter the size, height or location of the tree, our knowledgeable tree removal experts will devise a solution to remove the tree quickly and safely. Our experienced staff will assess and safely remove tree and stump, allowing for a hassle-free operation. We ensure that the safety of your home and property are of the utmost importance. Williams Tree Pro will take care of everything, from planning, removal and handling of waste. If you need to remove a tree from your property, we’d love to hear from you. With customer satisfaction as our number one priority, we’ll work with you every step of the way to understand your needs and ensure the tree is removed safely and with minimal disturbance to your property. To learn more about our tree removal services in Perth or to obtain a free quote, give us a call on 0416 356 359 or fill out our online enquiry form. Williams Tree Pro has operated since 2005 with years of experience on tree removal and management projects. We are insured with up to $10 Million Public Liability Cover. Find out more about our tree removal and tree lopping services or if you need tree pruning services in Perth, give us a call or get your free quote by quickly filling out the form below. We are the dependable, reliable and professional choice for Tree Removal! Fill out your details and let us know how we can help. We'll get back in touch as soon as possible.